I need this house for the chapter, and I cannot get away from it. I decided I would at least have the outside ready and one or two rooms (the ones that I will show in pictures). 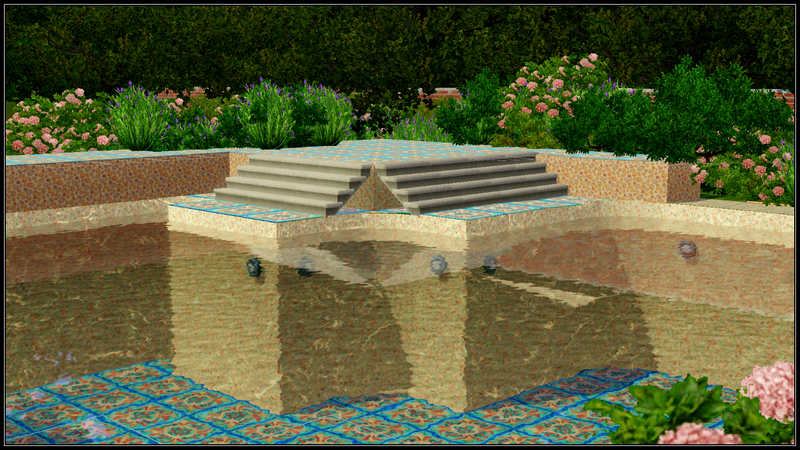 Today it took me 4 hours to build the pool o.O … no wonder I dread building, although I love creating, go figure! Here is a picture of the inspiration for this house. I just want to make clear I’m not copying exactly, just similar… I don’t claim titles of anything, hahaha. UPDATE — This house is now up for download. Go here! Wow, goodjob. That house looks amazing. I’m bad at mansions, they take me a long time. The first one I did was a success but I only did it once since it’s really time consuming! I plan on putting two hrs tonight and 3 to 4 more tomorrow before I get it ready for the chapter. 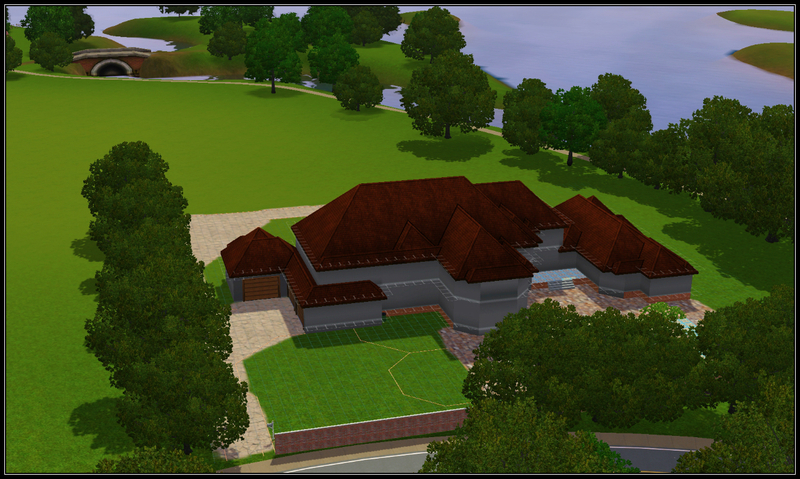 I need the outside done, the entry and any hallway leading to the family room done, also the surrounding areas. Everything else can wait for later. Yeah, decorating is probably my least favorite part. I like installing decorations and all that, cause it’s addicting and they all look so good. But for me to actually do it I have to be in the mood for. Haha. You still have a lot of work ahead of you though, can’t wait to see how the final results turn out. I’m already amused by the pool ah!! But you’re welcome.